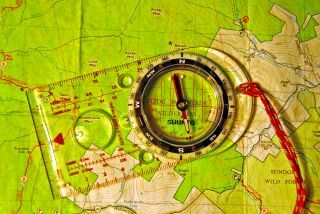 Hiking, camping, environmental posts and general outdoor mayhem in the northeast. The 2008-2009 seasonal snowfall map can now be viewed on the Climate Statistics page. The winter of 2007 - 2008 started out where the second half of the 2006-2007 season left off; with unusual quantities of sleet. After a few light snowfalls and mixed precipitation events in early December, the middle of the month featured heavier storms on the 13th and 16th which produced mostly sleet, with the storm on the 16th transitioning to freezing rain and then plain rain before ending. 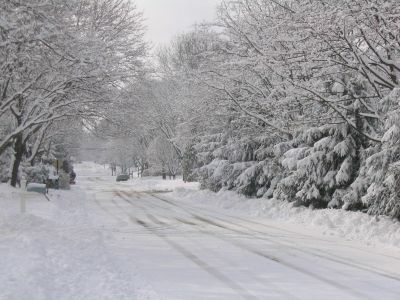 Following that, winter took a holiday with above normal temperatures and very little snowfall until February, when a few light to moderate snowfalls provided a hint of winter and close to normal snowfall for the month. However, that was it for the winter as no accumulating snows fell anywhere in the region after March 1. The 2007-2008 seasonal snowfall map shows even more of a north-south orientation to the winter snowfall than usual, primarily due to a higher percentage of snow vs sleet in the early season storms. The most recent snowfall map can now be viewed on the Climate Statistics page. 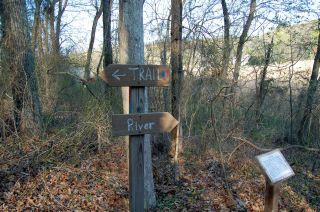 The Sweetbriar Nature Center is a 54 acre preserve located at Landing Avenue and Eckerncamp Drive in Smithtown. It is owned by the town of Smithtown and leased to the Environmental Center of Smithtown-Setauket, whose mission is to "provide natural science education services for Long Island residents of all ages and to engage in native wildlife rehabilitation services". Following a seemingly endless summer and a record warm October, the first weekend of November 2007 brought a stark reminder that summer is over. Ironically, it was the evolution of a warm season tempest, Hurricane Noel, into a powerful coastal storm that brought the cold wind driven rain to much of Long Island. Although Hurricane Noel was reclassified as an extratropical storm on November 2nd, it was not a reflection of the strength of the storm as the extratropical cyclone actually continued to strengthen while increasing in size. Maples, including several species that grow into large shade trees, are commonly planted as part of Long Island landscapes. 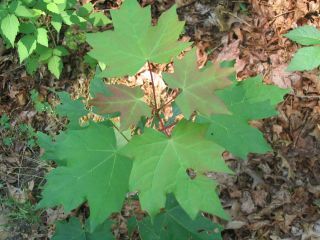 The most common large maples include the red maple, sugar maple, Norway maple and silver maple. The first two of these are native to Long Island and the others are exotic (non-native) species that have been introduced to Long Island from elsewhere. Each of these has distinctive characteristics that influence their suitability for a given location. 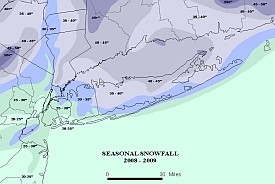 The winter of 2004 - 2005 was the third straight snowy winter on Long Island, and over parts of the Island it was second only to the winter of 1995-96 in terms of total snowfall. At the Brookhaven National Lab, where snowfall statistics have been recorded since the winter of 1947-48, the total seasonal snowfall of 78.4" made this the second snowiest winter and the third winter in a row that over 60" of snow has fallen. Unofficial reports indicated that snowfall totals may have exceeded 80" in a few locations in central Suffolk County. On February 2nd, numerous groundhogs and other furry critters were alleged to have seen their shadows and declared that winter would last another 6 weeks. As if to underscore the point, a minor snowfall deposited between 2 and 4 inches of snow across most of Suffolk County on February 3rd and 4th, with lesser amounts in Nassau County. However, following that snow, the weather became unusually mild for a couple of weeks while the existing snowpack gradually withered away. While many might have been entertaining dreams of an early spring, long range computer models were consistently cooking up a return to a wintry pattern ... but the switch back to the more wintry pattern held off until late February at which time a series of moderate snowstorms accumulated roughly 30 inches of new snow in less than 3 weeks. 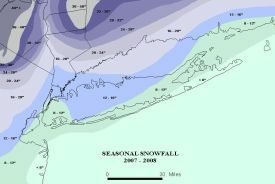 There are distinct patterns of snowfall that can be observed across the different parts of Long Island. There are a number of factors that influence this and the interaction of these factors can be quite complex. This article explores some of these factors and how they influence the local winter weather. 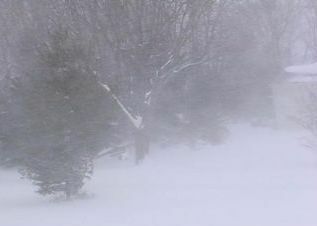 Blizzard conditions occurred over most of the region during the storm of January 22-23, although at many locations the conditions may not have met the criteria for official designation as a blizzard. The Blizzard designation requires that certain criteria for high winds (greater than 35 MPH) and low visibility (less than 1/4 mile) be met for 3 consecutive hours. On Wednesday January 19, 2005 an unusual Ocean Effect Snowfall developed on a south wind and left between 3 and 6 inches of snow across most of Suffolk County. 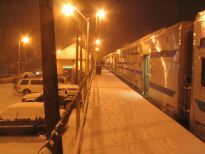 Arctic air had been in place over the region for days and caused heavy lake effect snow in western New York State. An approaching Alberta Clipper turned the winds starting just above the surface to a long south-southwesterly fetch over the ocean while temperatures above the surface remained very cold. Does Lake Effect contribute to Long Island Snowfall? 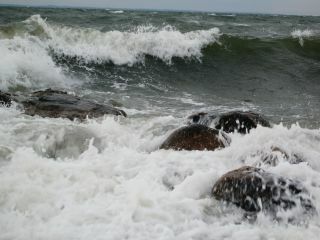 During the evening of January 7, 2002, a significant local enhancement of snowfall near the Long Island Sound occurred. That evening, an upper level disturbance caused some very light snows over Long Island, with most accumulations being a half inch or less. Along the immediate north shore, a stationary band of snow formed and persisted for a few hours dropping up to 3 inches of snow in spots between Huntington and Stony Brook. It was not a major storm, and while not strictly speaking a pure sound-effect snowfall, it was clearly a sound enhanced event. Fall color on Long Island is quite variable in its appearance. While the colors can be quite vibrant, the wide varieties of native and non-native tree species found on Long Island tend to reach their peak colors at different times, denying us the concentrated explosion of color celebrated in other parts of the northeast. However, there are some exceptions.